Keep going Kai you've almost beaten my score and i'd love a good reason to come back to it. Really can't see myself squeezing much more than this from normal mode. Last edited by Van_Artic on Wed Apr 22, 2015 8:28 am, edited 1 time in total. Van you need to correct your entry as you played hard mode not normal. I play with the dcast pad btw it's not to bad. 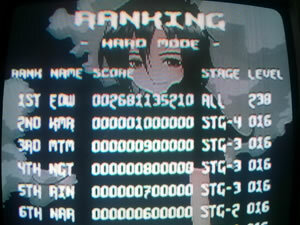 Dang, I was so close to beating Kiken's score. 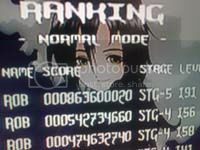 By the way, the score tables also feature some of my old scores so I imagine those duplicate entries should be removed. Request:If Arcade and Dreamcast can be the consoles playable for Karous, I suggest that we should include the Wii Version (Ultimate Shooting Collection for the Wii). If someone ever posts a Wii score then I will. AFAIK all versions are the same. Thank you. I am concerned what console you will play Karous on.